The famed muaythai promotion out of Thailand, Thai Fight visited French capitol, Paris on Saturday April 8. 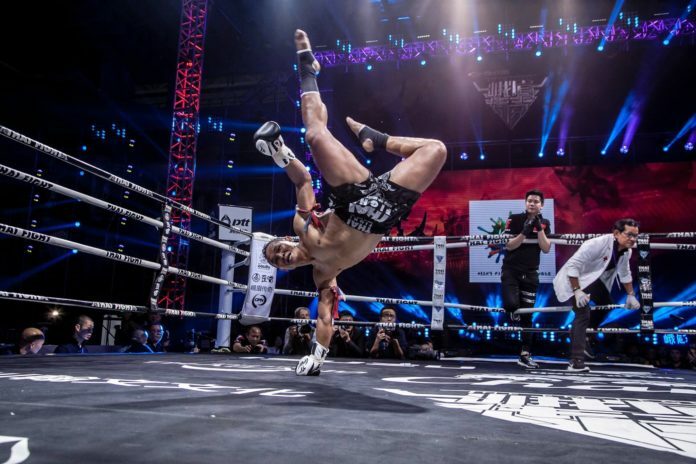 The King of Muay Thai, Saenchai headlined the event in the battle against local Abdelnour Ali Kada. The 65 kg bout went on distance with the authentic representative of the Art of 8-Limbs taking the decision. Moreover, two masters of performance, Thai Sudsakorn Sor Klinmee and “The Magician” Johane Beausejour squared off in the 74 kg encounter. Thailand’s competitor similarly earned the decision. Also on the night Yohann Drai of France took a TKO in Round 3 with knee against Thai Iquezang Kor Rungthanakea in the 70 kg bout. The other way around went the 68 kg challenge with Por Tor Tor Petchrunrueng of Thailand earning a decision against Charles Francois of France. As well, Raphael Llodra of France defeated Saiyok Pumpanmuang of Thailand by decision in the 74 kg bout. Mohamed Souan of France defeated Payak Samuk of Thailand in the 69 kg bout. Hamza Ngoto of France defeated Tengnueng Sitjesairoong of Thailand in the 75 kg bout, also by decision. In addition on the night Youssef Boughanem of Belgium earned a decision against Gaetan Dambo of France in the 73 kg encounter. Victor Pinto of France defeated by TKO in Round 2 (cuts) his country-fellow Kamal Aousti in the 65 kg bout. Antoine Pinto of France defeated also French Aydin Tuncay by decision in the 77 kg bout. The next round of Thai Fight is held in Italy. The muaythai elite visits Turin on May 27. The event is promoted in terms of the eminent “Thai Boxe Mania” at the PalaRuffini sports arena.